The award-winning Solwaybank Suffolk Sheep flock is raised on the banks of the Solway Estuary in Scotland, and is one of the highest quality pedigree Suffolk flocks in the world. The Solwaybank flock had the top priced ram lamb at the 2013 Stirling Ram Sale at 36,000 guineas. Pedigree Suffolk Rams and Ewes are available for sale privately, at prices to suit all pockets. 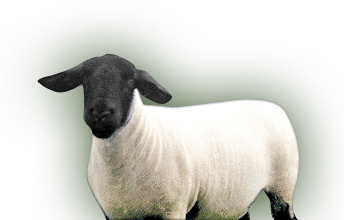 You can find out more about Suffolk Sheep at the Suffolk Sheep Society, or read and comment on the Solwaybank Blog.